Have you suffered an injury in a Salt Lake City motorcycle accident? If so, it’s in your best interest to schedule a free consultation with the Jardine Law Offices, P.C. by calling 801-350-3506 today. Home > Blog > What are the Biggest Dangers to Motorcycle Riders? If you are considering buying a motorcycle you likely already know that it is a dangerous form of transportation. If you own a motorcycle, you know that you need to do everything possible to avoid getting into an accident. Even though a motorcycle ride can be exhilarating, it can also turn into a tragedy if you are involved in a crash. Motorcycles offer no protection for the rider, which is what makes them so dangerous. Today, our Salt Lake City motorcycle accident attorney will take a look at the biggest dangers to motorcycle riders in the state of Utah. 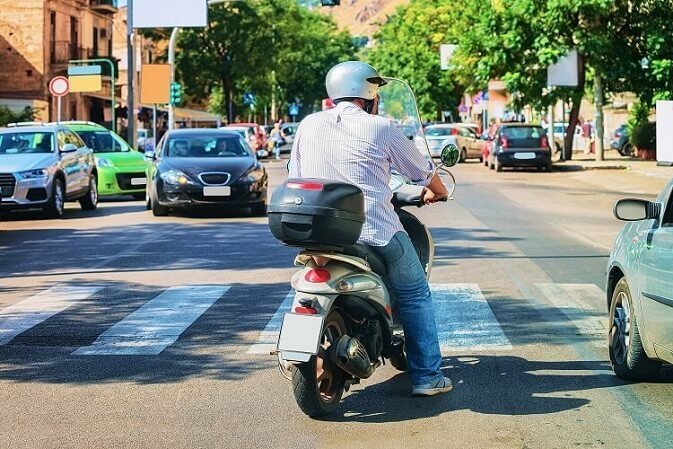 Distracted drivers are not only a danger to themselves but every other driver, pedestrian, bicyclist and motorcyclists on the roads of Utah. A distracted driver is not focusing on the road or the conditions around them. They are too busy playing with the radio, talking on the phone, eating or doing some other activity that removes their focus from the task of driving. A distracted driver will likely fail to notice your motorcycle when they change lanes, merge onto a highway, or make a turn at an intersection. When they are distracted they won’t have the right frame of mind to look twice for a motorcycle. Impaired drivers are just as dangerous, if not more dangerous, than distracted drivers. These drivers lack the focus, brain power, and reaction time to properly operate a vehicle. When you put an impaired driver on the road near a motorcycle it can result in the most tragic of circumstances. Most impaired drivers will have trouble noticing other vehicles of the same size. They surely won’t be able to be on the lookout for motorcycles. Debris on the road can cause an accident when riding your motorcycle. Debris doesn’t have to be large items like a tree branch or roadkill to cause an accident. It can be as small as gravel to cause your motorcycle to skid out of control. Other debris that endangers motorcycle riders includes potholes, construction debris, debris from accidents, storm debris, items that have fallen off other vehicles and more. The wildlife in Utah is impressive. There’s a lot of beauty in it. But, there’s also a lot of danger it poses to motorcycles. Deer, squirrels, chipmunks, birds, moose and any other animal that roams the land in Utah can pose a danger to a motorcycle rider. Coming across an animal while riding a motorcycle can lead to a tragic accident, especially if the animal darts out in front of the bike or cannot be seen until it is too late. The weather can change in Utah at moment’s notice. You never know what you will encounter weather-wise when on a motorcycle ride. Try to monitor the forecast as much as possible so you are not caught in a storm that could cause you to crash your bike.